Write on any PDF file, print, sign and send. Welcome to FormsLibrary the fastest and easiest way to sign, email and fill out PDF’s online! Our paperless strategy saves you both time and energy and allows you to sign and send documents within seconds. Upload any PDF using our dynamic PDF editor which allows you to add text, images, checkmarks and can be saved and edited at any time. Within the PDF editor you can sign and send documents in seconds, request signatures from others and receive notifications once the other party has signed. Our goal at FormsLibrary is to make it simple and easy to sign and send PDF’s using a paperless strategy. Quickly convert any word document to a PDF file to give your files a professional look that almost any computer can open. 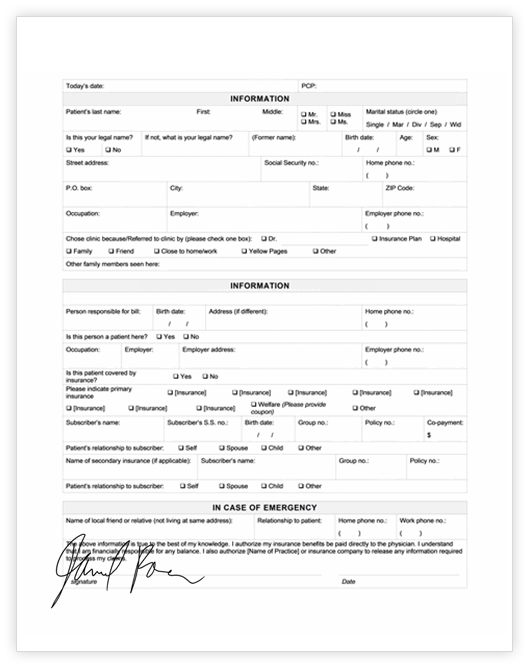 Sign documents right on your computer. No need to print, sign & scan. Simply useour electronic signature pad to sign forms with your mouse! Write on any PDF document, even ones that were previously unwritable. No ned to fill out by hand documents anymore. Send documents to your colleagues and clients via our special link, they can simply electronically sign and you’ll be notified when they’re done. Save your colleagues and clients the headache of having to manually sign, print and scan the documents you send them. Print & export your documents. Full access to our library documents. Create an unlimited number of documents for 1 year. Try us for 7-days, free of charge. Renew at $39.95 per month on the 8th day. Membership renews every 30 days. Print & export your documents. FormsLibrary is a simple and easy tool that helps you easily create, edit and sign documents within minutes. As a member you will have access to our library of PDF’s and also have the ability to upload your own. Q. How do I sign a document on FormsLibrary? You will be given 3 options to input your signature. Simply type, draw or upload your signature and it will be saved to the signature icon in the editor. Once your signature has been uploaded simply click the signature icon on any document and sign instantly. You will have the ability to change the size of your signature to fit the that particular document. Q. Is a credit card needed to start my free trial? Users that try FormsLibrary for 7 days often continue with their paid membership. Your credit card will not be billed during the free trial but after the 8th day will be moved to a monthly subscription. You are welcome to try the service completely free for 7 days and can cancel at anytime. Q. What documents can I create on FormsLibrary? FormsLibrary searches the Internet to find you the best and most relevant PDF’s online. Get access to thousands of PDF’s and documents using our document search tool. Some of our categories include: Government forms, tax forms, contracts, invoices and much more. Q. How do I email a document on FormsLibrary? Sending a document to someone via email is easy. All you have to do is click on the email icon in the editor and enter the recipient’s email address. Once the recipient opens the email or signs the document you will be notified. Using the email tool you can easily manage and send documents. Still have questions? Simply contact us below.